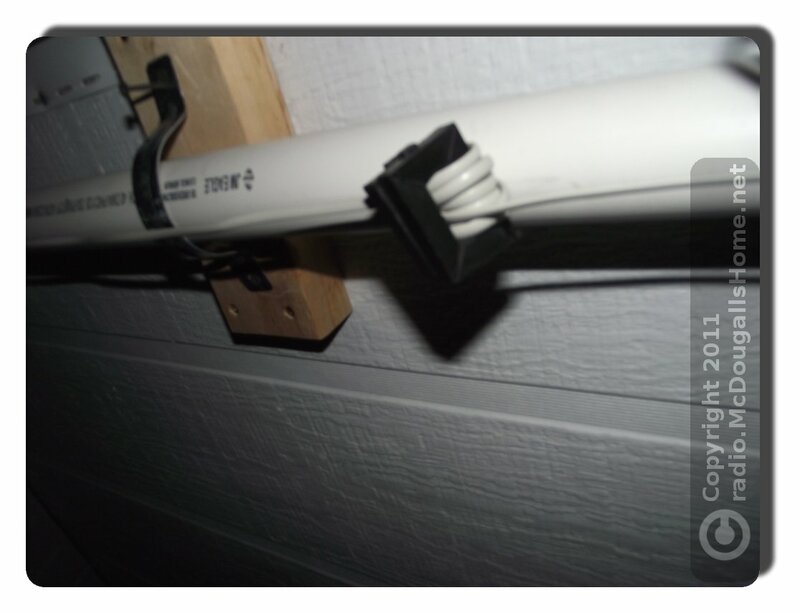 I recently put my weather station on a SheevaPlug computer. See my post detailing the process HERE. Since that time, I’ve noticed that the LaCrosse WS-2315 (the weather system I have) has been reporting that wind gusts are 14 MPH very often. 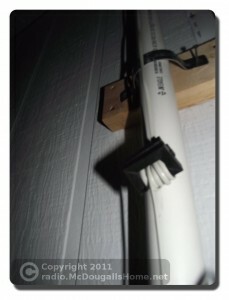 I doubted that the wind was really blowing 14 MPH all the time, so I search the Internet for a solution. 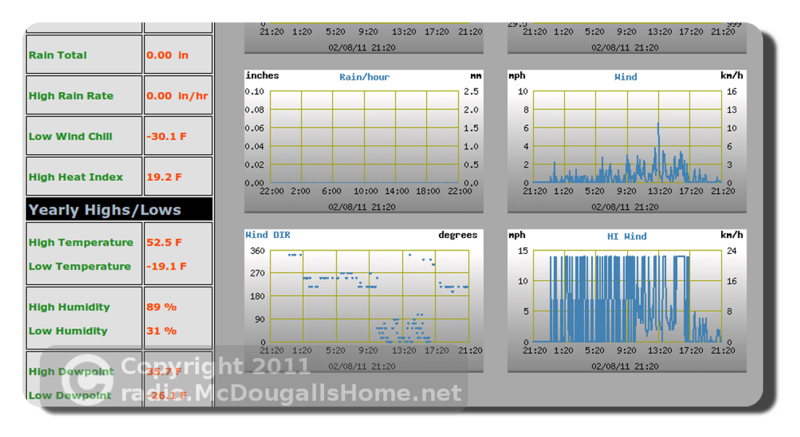 It seems that the LaCrosse systems are prone to interference on the wind sensor line. A very good article by Kenneth Lavrsen explained a good solution to the problem. I also, read about using toroidal cores to reduce the interference. I also have to admit that the line from the wind sensor was loose and flapping in the wind. That is not a good thing with cold dry staticy weather we have been having. I tightened up the line, and attached a ferrite noise reducer to the line and the problem went away. Here is a screen shot of my 14 MPH wind. Notice the correct readings after about 17:20. Also, see a blurry picture of the solution.